Each Costa Rica vacation package is suited for a different type of experience. Select a category and start exploring all the options you have! Costa Rica is small but incredibly diverse. It has rainforests, beaches, rivers, cloud forests, volcanoes and mountain ranges. The amount of animal and flora species is also extraordinary and abundant, all in a country smaller than West Virginia! Both resorts and boutique hotels are available, with opportunities to relax, go out on adventures, and be pampered during a vacation in Costa Rica. 2. What’s included in travel packages? The country’s enormous variety and reduced size mean breakfast can be served high on the slopes of a volcano and dinner can be enjoyed next to a sandy beach. Exciting adventure tours are also available every day, though we recommend leaving room for rest (you’ll thank us!). So focus your experience on what is most important to you – nature, relaxation, luxury, or even sportfishing and golf. There is something for everyone out there if you know how to look for it. With so many choices, planning a trip can be overwhelming. This is why getting help from local experts is the best way to ensure your dream journey is completely worry-free. From reservations to arrival, tours to departure, Costa Rica Vacations accompanies you throughout the whole process. 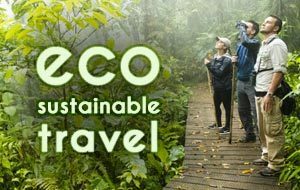 Visit Costa Rica’s landmarks, enjoy warm beaches, and connect to the exuberant vegetation without lifting a finger. 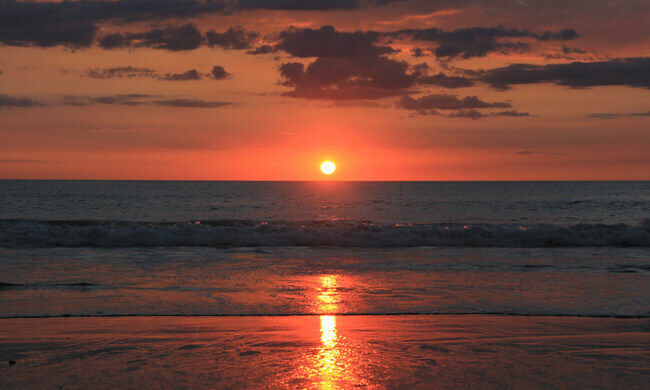 To ensure everything goes smoothly, building the perfect Costa Rica vacation package is a key step. If you are not sure where to start, we have put together a number of packets that are examples of our most popular travel itineraries, with options for all types of travelers and needs. All these are sample trips, and they can be customized especially for you. They can also be built from scratch. Simply contact us, and we’ll gladly help! What’s in a Travel Package? 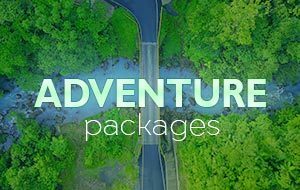 All of our Costa Rica travel packages come with a series of perks to make this vacation unforgettable. This includes all transportation and lodgings, from the moment of arrival to the moment of returning home. There is also a day-by-day description of the activities planned for the trip. Most packages already include tours, so check them out to see if they are the right fit. There’s adventure, romance, and nature waiting across the country. Traveling to a foreign country can be complex if you don’t know the ins and outs of the area. There’s no need to worry when booking with us. 24/7 in-country customer service is included with each package. From dining suggestions to questions about the itinerary, there’s no reason to be alone at any point in the trip. Call us and we’ll gladly provide first-hand knowledge and expert advice, free of charge! Experiencing Costa Rica’s rich variety is possible when you know where to go. 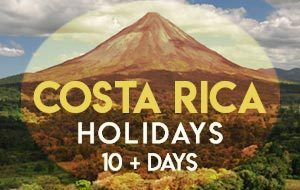 To make the most of the trip, popular Costa Rica vacation packages are typically 7 to 10 nights long, with a combination of several destinations. To create lifelong memories, add activities focused on relaxation, excitement, romance, nature, or family time. Or mix them up to get a little bit of everything, it’s all up to you! Best-selling combos usually include a hotel near Arenal Volcano, followed by a visit to a beach in the Pacific coastline. Get ready to enjoy iconic scenery, adventure, and world-class service. Two favorite beach destinations are the rich Manuel Antonio National Park and the windswept coasts of the Guanacaste province. 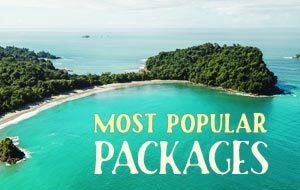 On one hand, Manuel Antonio offers both beaches and jungles, while Guanacaste is home to the majority of our all-inclusive vacation packages. These are areas where couples, families, and groups of friends can all have a good time. There’s more information on these two destinations below. The hotels on each package are suited for different types of travelers. 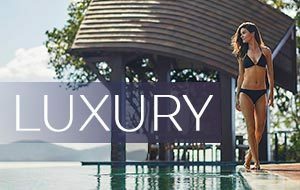 Luxurious boutiques, larger resorts, and secluded locations are all possibilities. If you already have something in mind that’d be perfect, let us know. If you’re not sure, an agent will gladly help provide recommendations. The perfect match between traveler and accommodation can make all the difference. Make the right choices with our help! Don’t forget there are always Special Offers during low season. Travel Consultants already take offers into account to provide the best experience within a budget, but there’s chance to combine destinations and get discounts or free nights to make the most of the stay. Let our local expert team guide you while building your dream vacation in Costa Rica. Enjoy a carefree stay with loved ones and create beautiful memories that will last a lifetime! 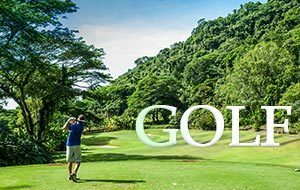 There are different ways of exploring Costa Rica, and our three most popular travel packages are all-inclusive experiences, family trips, and romantic honeymoons. 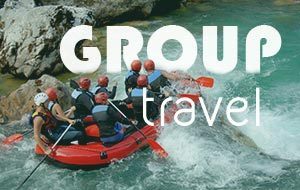 Whether you want to travel with a large group, significant other, or a select bunch of loved ones, there is something for everyone. 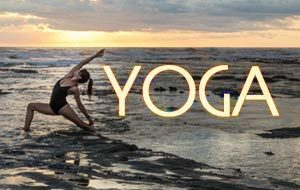 If none of these options seem like the right fit, there are others that focus on nature, relaxation, golf, surfing, diving, and sportfishing. 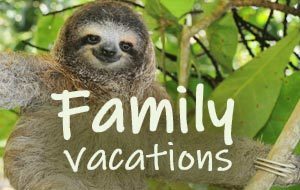 If those don’t work either, we’ll put together the perfect Costa Rica vacation package just for you. One of the most sought-after types of vacation is the all-inclusive. The best place to go is Guanacaste. Stay in a true all-inclusive resort that includes many on-site amenities for guests. Enjoy meals, drinks and activities without reaching for the wallet constantly. Hit the beach and take advantage of one of the best coastlines in the country. In addition, there are several options to explore outside the hotel. Adventure is not too far away – zip lining, diving, ATVing, and more are among the possibilities. A good strategy to see more of Costa Rica and experience more of its variety is to combine an all-inclusive destination with a boutique hotel near a volcano or in the jungle. Going on a vacation with family can be tricky. There usually is a wide range of ages and interests among travelers, and it can be hard to please everyone. If this is your case, there’s no reason to worry. Let us do the hard work so you can enjoy. Many kid-friendly hotels also have family activities that everyone can participate in. With the right destination, even grandpa can admire nature in peace from a balcony while the teens zip line through the forest. Transportation doesn’t have to be complicated either. There are private transfers to every destination in the package, including tours. Stay together at the hotel or head outside to explore, everyone gets what they want! When it comes to starting a life together, Costa Rica is the right place. For those who want to relax, there are some well-appointed spas and soft-waved beaches to share with their significant other. To add excitement, whitewater rafting, zip lining, or extreme hiking are just some of thee options. If nature is what you’re after, birdwatching and whale spotting tours are available as well. 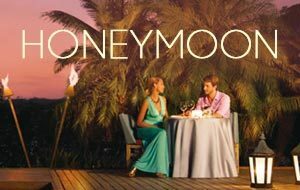 Honeymoons combine the best of Costa Rica’s beaches, its lush rainforests, and the luxury you two deserve. This is a great opportunity to enjoy the trip of a lifetime. 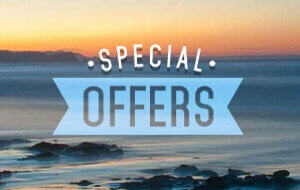 Be sure to check our special offers and make the best of this celebration. This is a quick guide that highlights the best destinations in our Costa Rica packages. These include a range of both boutique accommodations, big resorts, and secluded areas. Where you go depends on what you want to experience. If none of these sound like the right fit, there are even more. Before you decide, let us explain what makes each of these unique. Known as the ‘adventure capital’ of Costa Rica, the Arenal Volcano area offers a wide range of attractions and tour activities. Admire beautiful scenery in the skirts of the iconic colossus, unwind in nature surrounded by flowers and birds, or hit the trails to enjoy the outdoors and some exercise. Vacation Style: Family trips, luxury, romantic honeymoon, adventure travel. 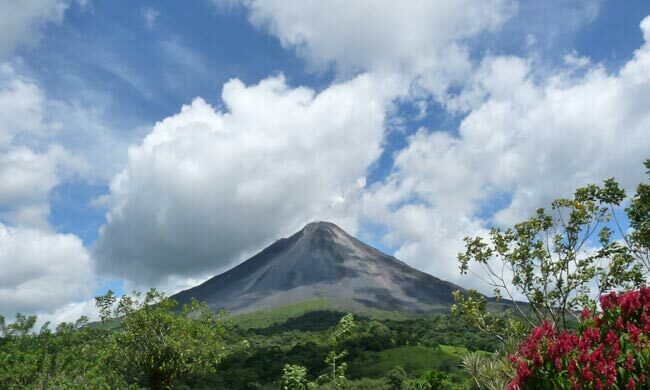 Highlights: Besides great views of the majestic volcano, Arenal features other remarkable landmarks, such as waterfalls, hanging bridges, hot springs, a large human-made lake by the volcano, and a national park bursting with spectacular flora and fauna. Activities: This area offers many activities for families and couples alike, such as zip lining, waterfall rappelling, white water rafting, visits to world-renowned hot springs, coffee farms, and trails that offer the chance to observe monkeys, birds, and exotic flowers. The beautiful sandy beaches of Guanacaste offer ample fun for all kinds of groups and solo travelers. Rest under the sun of the Pacific coast, explore nature, and retreat from the world. This area is perfect for both those who want to enjoy the luxurious amenities of larger hotels and for those in search of adventure, wellness, and watersports. Vacation Style: All-inclusive, family trips, luxury, honeymoon, surfing and diving experiences. 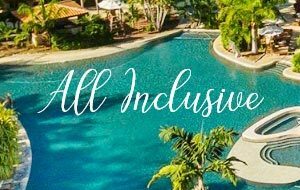 Highlights: The only real all-inclusive resorts in the country, exclusive luxury hotels with intimate atmospheres, wellness retreats. 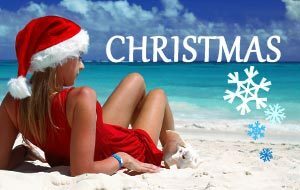 Activities: Relax and play at the many white beaches in the area, go out to surf and fish, do yoga, kayaking, or snorkeling. Horseback riding, ATV routes, and rafting are other options. There are also some of the best spas and massages in the Pacific coast. This area is famous for its amazing display of biodiversity, which is protected by the reserve. Get the best of both worlds by enjoying beautiful beaches and tropical forests in one location. 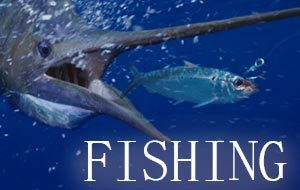 Vacation Style: Honeymoons, adventure travel, nature lovers, sportfishing. 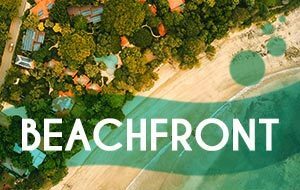 Highlights: Beach and jungle views, wildlife sightings such as capuchin monkeys and sloths, marinas for sportfishing enthusiasts, golf courses, local nightlife. 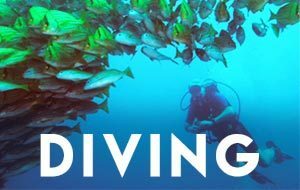 Activities: Seasonal whale watching in the Ballena National Marine Park, deep-sea or inshore sportfishing, hiking trails, cultural activities, waterfalls, and water sports such as kayaking, snorkeling, parasailing, and surfing. 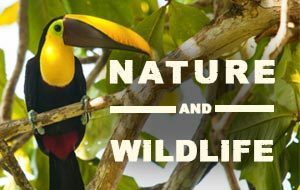 Ready to Book a Costa Rica Vacation Package? If you feel overwhelmed and excited, you’re on the right track! Let us discover your “travel personality” and craft the perfect Costa Rica travel package. 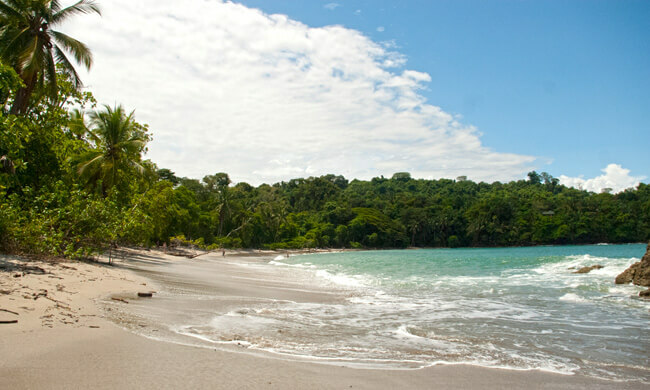 Our expert consultants can prepare custom Costa Rica vacation packages that suit any needs. Contact us us to start planning your visit today!